We were all very sad to hear last weekend, of the sudden death of Peter Clarke, one of our founder members and a friend to all. Before retiring, Peter was an extremely capable Chartered Surveyor and an accomplished Auctioneer having honed his skills in the Yeovil cattle market in the early ‘sixties. 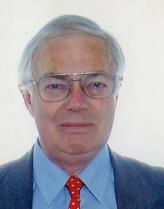 He worked in Sherborne as a Partner in Palmer Snell for many years and met Sheborne Rotarians in his work activities. But Peter did not join clubs, so when in 1996 he joined the ‘Sherborne Twilight’ club, as our club was called before it was chartered, this was the start of a new and long relationship for Peter. Peter was our founding Sports Secretary when the Twilight club became a chartered Rotary club. In 22 years of membership Peter made many friends in Rotary and was always actively involved in club activities. As one of our Honorary members told me ” The last time I saw him was when he made his usual appearance to present the prizes at your Historic Vehicle Rally at Sherborne School Courts on 26th August during which he continued to display his customary good humour despite the appallingly wet weather that day.” Peter’s funeral was in his home village at Poyntington Church this Thursday. Rest in peace Peter. My Mother-In-Law was bit by a bat No – I couldn’t believe it either, I was visiting my daughter in hospital when they told me So I popped down to A&E to see her. An extract from one of the poems which poet Laurence Lagrue entertained us with at a social get together of our club on Monday. Laurance lives and works in Dorset and his poems are largely based on observations on the world around him, and he has set himself the task of publishing a new poem every Friday. You can check out this week’s poem on his blog site “W is for Duck”.